Junior 132-pounder wins his third straight state title. Cody Vigoren also a champ for Vikings at 4A wrestling finals. TACOMA — The sense of satisfaction matched the size of Michael Soler’s smile. 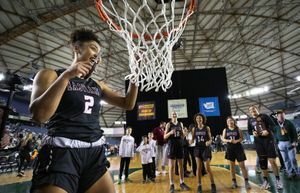 Both were immense after Soler survived the toughest weight class in the 4A state wrestling tournament Saturday at the Tacoma Dome to claim his third straight championship. The Lake Stevens junior edged Pasco’s Timmy Martinez, a two-time champ in his own right, in the 132-pound final, 5-4, after beating a two-time silver medalist in the semifinals. Senior teammate Cody Vigoren successfully defended his title at 195, but the Vikings came up short in their bid to win a third consecutive team championship and 10th overall. 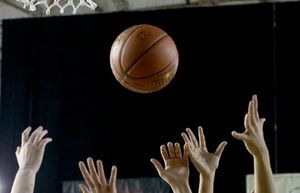 Moses Lake’s early lead proved too much to overcome and the Chiefs came out on top, 117-113. It’s their 18th title, but first since 2002. 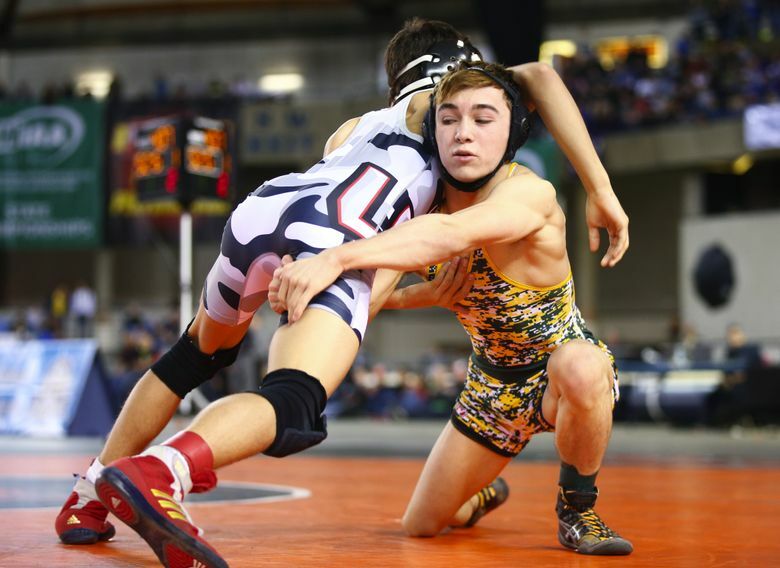 Moses Lake, which was second to Lake Stevens last year, produced a pair of champs in Trey Long (113) and Hudson Mauseth (160). The Vikings had two second-place finishers in Alex Rodorigo (126) and Jake Douglas (138). 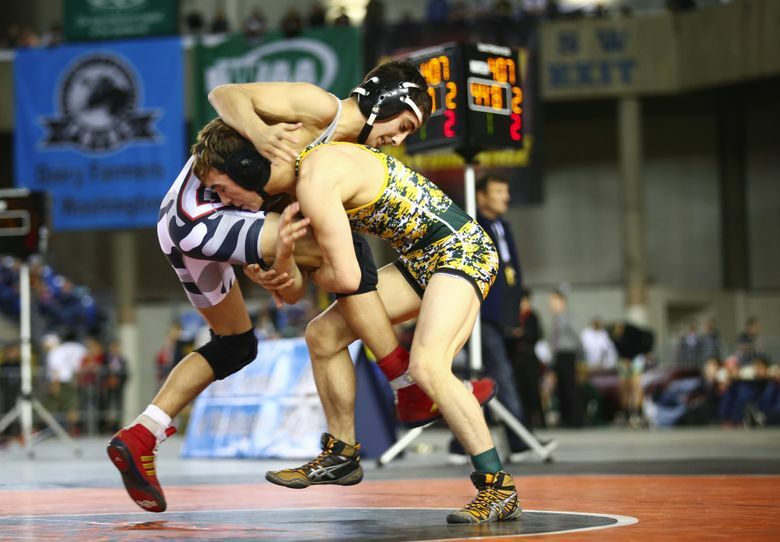 Douglas took a tough 1-0 loss to Blake Beard, who became Central Valley of Spokane’s first three-time state champion. 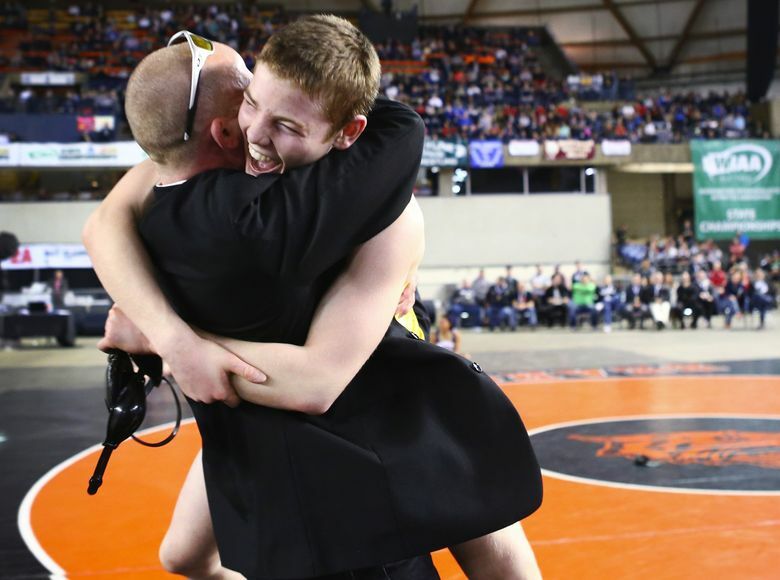 Rodorigo became another pin victim of Yelm’s Darren Harris, who became a three-time champ. Lake Stevens coach Brent Barnes had no complaints. 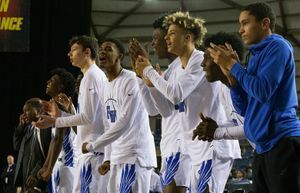 “Our kids came in and competed hard and didn’t back down and fought to the bitter end,” he said. 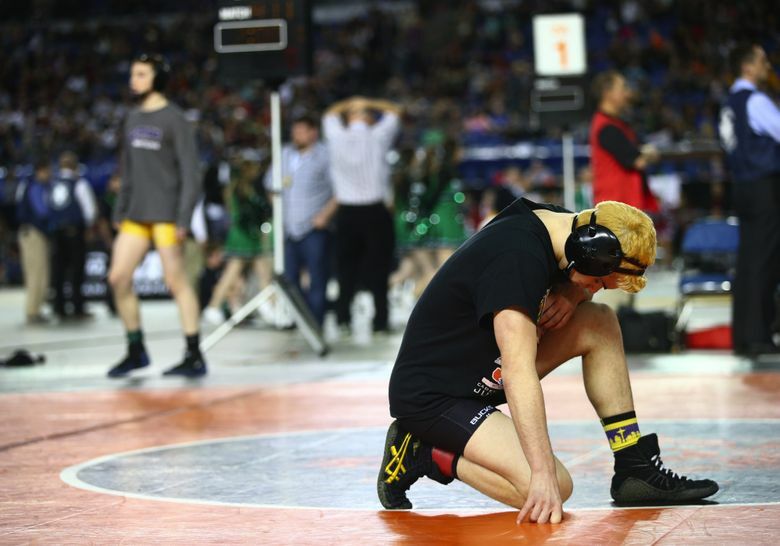 Vigoren pinned Tahoma’s Adam Hokenson in the final and was emotional afterward, not about his victory, or the team’s loss, but because he’ll miss the guys in the wrestling room. “I have the best teammates ever,” he said. • Emmanuel Daigbe, a Kent-Meridian junior, capped an unbeaten season at 182 by avenging his loss in last year’s title match against Union’s Alex Berfanger, 3-1. “All the hard work I put in finally paid off,” Daigbe said, “We’re both strong. We’re both fast.” K-M’s Jahleel Smith was third at 138. • Alex Fairhurst of Snohomish came up with a late takedown to earn the crown at 220, 4-2 over Dallas Goodpaster from Evergreen of Vancouver. • Mount Si got a title at 170 from Mark Mulligan, the senior transfer from North Carolina. Teammate Justin Edens lost in the semifinals at 152 and wound up fourth. • Isaiah Diggs of Decatur, a 3A champion as a junior, wasn’t able to repeat, finishing second to Ty Wilson from Rogers of Puyallup at 152.